A study has found that acupressure could be a low-cost, DIY solution for a set of persistent side effects which remain after conventional treatment for breast cancer is completed. It was reported by researchers in 2016 that acupressure helped with a reduction of fatigue in breast cancer survivors. This current study examined how acupressure impacted the symptoms that often accompany fatigue in breast cancer survivors, such as anxiety, chronic pain, poor sleep and depression. It was discovered that all of these symptoms improved with acupressure in comparison to standard care. Breast cancer survivors reporting fatigue were randomized to 1 of 2 kinds of acupressure or to standard care, which included typical sleep-management methods. They were instructed on how to locate and stimulate the acupressure points so as to enable them do it themselves at home once a day for 6 weeks. From the 424 survivors who had fatigue from the original study, half had at least 1 other symptom and 17% experienced all the symptoms. According to the researchers, it was in fact unusual for any of the women to have just fatigue. The study focused on the 288 individuals who had other symptoms as well as fatigue. Weekly reports were given regarding fatigue, symptoms of depression, pain, anxiety and sleep quality. 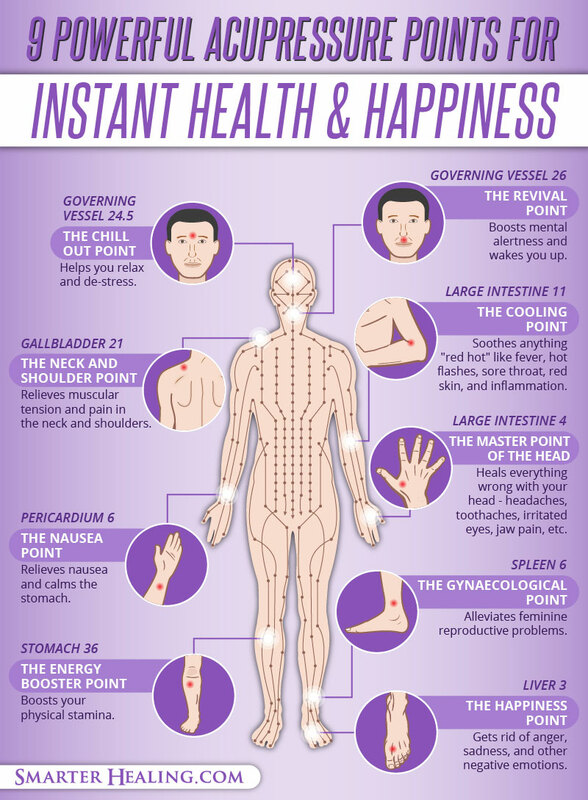 Acupressure comes from traditional Chinese medicine, and involves applying pressure with thumbs, fingers or device to certain of the body’s pressure points. Two kinds of acupressure were tested: the stimulating type of acupressure, which is made use of for increasing energy and the relaxing type of acupressure, which is made use of for treating insomnia,. The 2 methods differ by which of the body’s points are stimulated. After 6 weeks of treatment, the relaxing type of acupressure was better in comparison to the stimulating type of acupressure or standard care for improving sleep and symptoms of depression. Both kinds of acupressure were more effective than standard care for the improvement of anxiety, pain severity and pain that interfered with daily life. The researchers remarked that it would be obvious to conclude that relaxing acupressure could be used for a fatigued and depressed individual, and either approach could work for pain or anxiety. It was also assessed if the improvement of 1 symptom helped with the improvement of other symptoms. It was discovered that improving depression symptoms helped to improve sleep quality, accounting for about 20% of the fatigue improvement. The researchers suspect that these symptoms influence various different mechanistic pathways, and could be impacting the brain in several ways. Treatments would likely need to be customized and varied based on the symptoms of the woman as well as other factors. Acupressure can be performed at home with little to no negative effects, minor bruising at the acupressure points was reported by some women. It was shown in the study that women could be taught how to apply the correct amount of pressure to the appropriate points.